Quality all around, Packaged fresh and lasted till I could plant them well. Whole entire company gets an A in my book. The plants were shipped fast, packaged good and secure and customer service is great. 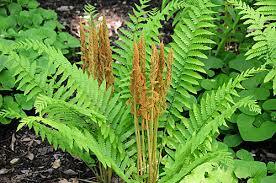 The tall, majestic beauty of the Cinnamon Fern is an eye-catching addition for any landscapers with shade to fill. Reaching heights up to 4 feet, the Cinnamon Fern has a unique, multi-dimensional appearance, brought about by the combination of an outer layer of large, green fronds with the cinnamon-colored fronds at the center of the plant. Native to the eastern United States, but also found in South America and Asia, these plants thrive in shaded, damp coastal regions, swamps, and riverbeds. For use in gardening, these plants must be kept moist at all times, particularly if they are in the direct sunlight. Cinnamon Ferns are native to many of the world's bogs and swamps, with a natural rage occurring primarily in the Americas and Eastern Asia. 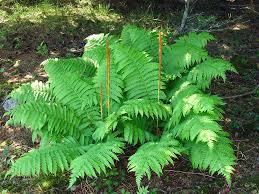 Cinnamon Fern can grow to become very large.